Team building is essential in any business. Even virtual ones. 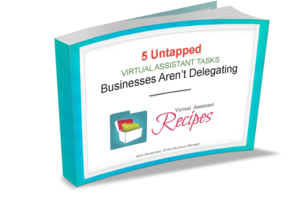 Your business is only as effective as your virtual team. Management of that team, and the people that you hire, make a significant difference to your success. The following tips will help you both manage and build an effective – meaning productive and profitable – team. For team building to be effective, members must have the same goals and purpose for being on the team. There has to be an end result that everyone is working toward. So it’s not only important to make sure that the goals are expressed and clarified; you also want to make sure that everyone on your team is driving toward the same end result. If someone on your team has a different goal, they should be assigned to a different team. You don’t need your team members to be great at everything. In fact, you really probably only need them to be great at one thing. Hire the best and leverage the strengths of others to create an exceptional team. For example, if you’re outsourcing the creation and management of a live event then you might add a content writer, a social media expert, and a virtual assistant with live event management experience. Once you have your team pulled together and you’ve clarified your goals for the project, it’s time to establish milestones, delegate tasks and step back. Let your team members take responsibility for their roles in the project and on the team. You don’t need to, or at least you shouldn’t need to, micromanage your team. If you find that you do have to, then it’s time to find new team members. Part of the joy and efficiency of team building is the freedom you have to let go and trust that they’ll do what you hired them to do. If you do have a large team and a complicated project, consider adding a project manager to the team or assigning one of the team members as the lead on the project. They can be the person to stay in touch with fellow team members to make sure everything is on schedule and to answer questions. While your role isn’t to manage the team, you do want to make sure that the steps you are taking are generating the most return on investment. That means implementing systems to assess progress and success and to leverage those systems to evaluate your results. Each project that is completed and each team that you build is a source of information on how to continue to grow and improve your results. When you have great team members, reward them for their efforts and success. Rewards can be monetary, of course. But people also appreciate recognition, testimonials and referrals. And when you want or need a team member to do something a little differently, good constructive feedback goes a long way. Constructive feedback is positive, productive, and acknowledges both what works and what doesn’t work. It helps your team members improve the end results. Effective team building, delegating, and managing your virtual team can be overwhelming at first. Take the time to identify your goals and create a plan. Hire great people and reward their efforts. Watch your business grow and prosper. 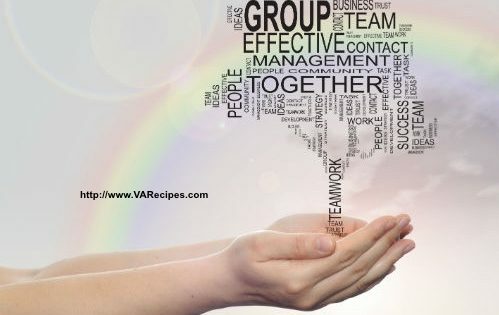 So follow these tips for building an effective team and bring your business to the peak of success!